Aussie DJ Ruby Rose has been making waves on the local music scene for quite some time now, first through her role as an MTV VJ, then through her DJing career, but she’s never really ventured into headliner territory before… until now. 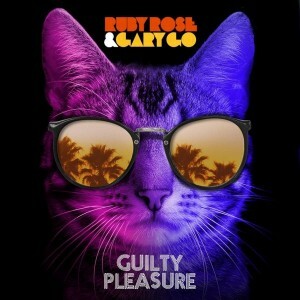 Teaming up with British singer songwriter Gary Go and Stuart Crichton, Ruby released ‘Guilty Pleasure’ on Friday. In preparedness for the song’s release, she revealed in a statement about how the song came to be. The clip, below, was filmed in London and sees both Ruby and Gary traversing the streets on their tandem adventure. Quite liking this track, but there needs to be much more support from local radio for it to stand a chance of making it into the charts. Love the track!! In the vein of EBTG. I think it needs to get international attention before it gets the local plaudits it deserves. Unfortunately, this is true for a lot of talented, homegrown pop/dance artists. Sad really.